Dr. Denehy earned his medical degree from Drexel University College of Medicine in 2012. He went on to complete his postgraduate residency training in orthopedic surgery at Hahnemann University Hospital in Philadelphia, PA. 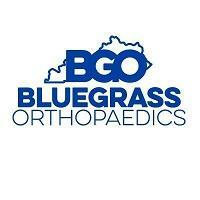 He concluded his training with a hip and knee adult reconstruction fellowship at the University of Louisville. He is board eligible by the American Board of Orthopedic Surgery. He is a member of the American Academy of Orthopedic Surgeons, American Association of Hip and Knee Surgeons, and International Congress on Joint Reconstruction. Dr. Denehy is an expert in minimally invasive hip and knee replacement surgery. He utilizes the direct anterior approach for total hip replacement, allowing for a quicker recovery with less muscle damage. Many of his total knee patients are candidates for a quadriceps-sparing (subvastus) approach that allows for a quicker return to function. When indicated, he also uses a cementless knee replacement, which utilizes the latest technology of 3-D printing to create a surface for your own bone to grow into the implant. With this biological bond, there is less risk of loosening from cement break down, which is a possibility with many other implants.